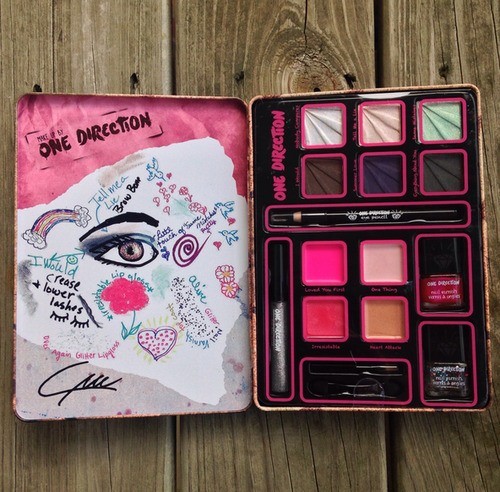 I was given the opportunity to review One Direction’s new Limited Edition Beauty Collection! 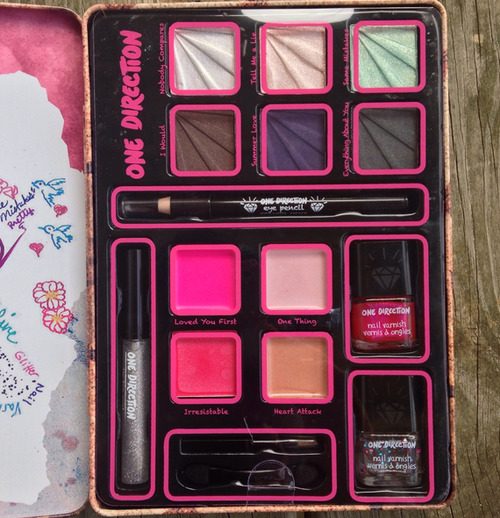 I also reviewed their first makeup box, you can read the review here if you’d like! I thought it was a great idea to have 5 different tins with each of the boys’ faces on them rather than have a group one like their previous sets! This makeup collection comes with pretty much everything you need – eyeshadows, lip glosses, eyeliner, and nail polish! Here’s a closer look at the contents! Each of the 5 tins come with the same colors! I think Markwins did a great job of choosing what colors to put into this tin! There’s a great variety and none of them are too overwhelming. The first thing I tried when I got this tin was the nail polish! Their facebook page even used my photo when I posted this on Instagram! 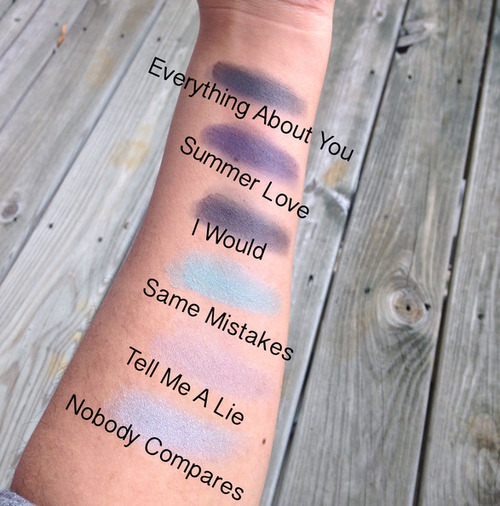 Here are swatches of the rest of the makeup! The lip glosses were lighter than I thought they would be which is totally okay because I can play around and mix them up with some other lip colors I have! I like the eyeliner because it’s dark and has a matte finish! 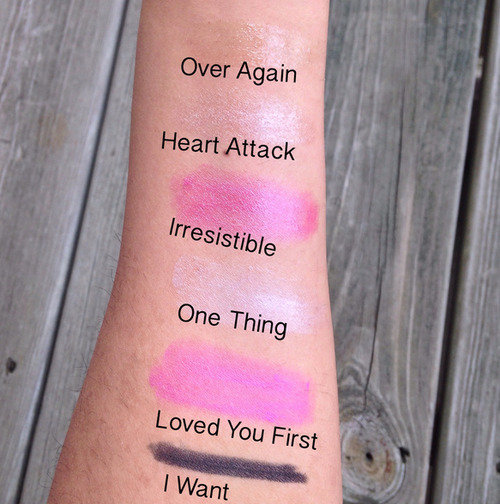 I was surprised at how pigmented the eyeshadows were! These are without any type of primer so I’m sure they’ll be even richer in color once I use a primer underneath them! I can’t find an exact price on these sets but I believe they’re around $25 and they can be found at Macys and Kmart!